During the SOS VDA Process, it may be determined that a Holder has unreported securities which need to be reported pursuant to the SOS VDA. The securities should be reported directly to the Department of Finance in the same manner as a holder would report securities during annual reporting. The Department of State does not have access to the information provided to the Department of Finance. Consequently, the Holder should alert the Department of State that the transfer of securities has been processed and completed. Further, the Holder should provide an updated spreadsheet detailing the items being transferred as there may have been changes from the date the SOS VDA has been settled to the date of the transfer. This information should be sent to sos.vda@delaware.gov. 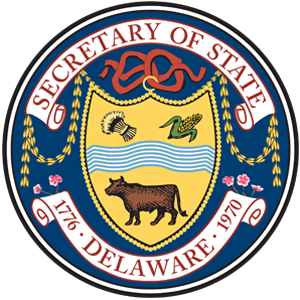 The following has been excerpt from the Escheat Handbook Instructions for preparing Delaware Unclaimed Property Reports dated February 2018 for instructions regarding securities. All DTC eligible shares must be deposited through DTC or DWAC (if not a DTC participant). Fractional shares must be sold prior to escheatment and reported as cash in lieu of. The DTC Transfer and Physical Delivery instructions are listed below. All dividend reinvestment elections should terminate after registration. All income dividends and capital gains should be paid in cash (do not elect a reinvestment option). When attempting to deliver foreign securities, please contact Conduent at (617) 722-9655 to obtain delivery instructions and account information. Close DRP accounts and forward whole shares only via DTC. Fractional shares must be sold and proceeds applied to each individual property when filing. Do not total fractions for all owners and liquidate. Please include the proceed remittance check with your final payment. Please include all physical stock certificates with your submission of your payment. Accounts held for the State must be registered in the name of Mac & Co. Conduent will provide account numbers for all mutual funds transferred to the state’s account. Contact Conduent at UPCH.Custody@conduent.com providing a list including CUSIP number, name of the fund, and share amount to obtain account numbers. Please contact Conduent no less than 3-4 business days prior to attempting delivery. Delaware will no longer accept worthless securities. Do not report or remit worthless securities. At such time that the security gains value, it should be reported and remitted during the next reporting cycle. If shares or mutual funds are non-transferable but can be liquidated, the position should be liquidated and the liquidation proceeds should be listed on the electronic report and remitted in lieu of the shares. If securities are non-transferable, unable to be liquidated, and yet have value, they should be moved to an account on the books of the broker/agent registered to: Delaware Office of Unclaimed Property, Dover & Co; EIN 43-2016158. The same account should be used year after year; do not open multiple accounts in the State’s name. Until a statement is received to validate non-transferable positions, the report cannot be reconciled, which may result in the delay of claims payments to all owners listed on the report. Legal Disclaimer: The materials contained herein are intended to provide information in regard to the subject matter covered. 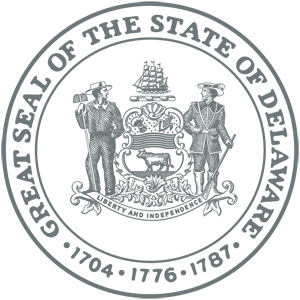 The Delaware Department of State is not engaged in rendering legal, accounting, or other professional services. If legal advice or other professional assistance is required, the services of a qualified professional should be sought.